In order to supervise correct implemention of protocols, the government established the third “Superbody”, the Central Quality Body. It had significant armories at the disposal to enforce the treatment protocols. In order to ensure this task number of medical supervisors was needed. The Central Quality Body (CQB) is a new regulatory body of the government. According to our analysis, it will be a tool for fining providers rather than protecting patients. We expect that the government will use CQB to punish private providers more strictly than the state owned providers. Based on these expectations, we advice to increase legal and medical vigilance in all private hospitals in order to face serious controls. 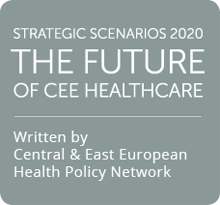 The facilitator of development of the Strategic Scenarios 2020: The Future of CEE Healthcare was Ivan Perlaki. For more details please see his website: http://www.perlaki.sk.